Since partnering with Globelet to launch #forcupssake – Stone & Wood’s cup exchange initiative, the brewery has saved over 20,000 cups from entering landfill or recycling centres in just 6 months! “Introducing #forcupssake at various food and craft beer festivals and at our own Stone & Wood events we have demonstrated that there is a successful solution to eliminating single use packaging at events within our communities. The high return rate on cups at festivals and events means our drinkers are getting it and want to be a part of the solution to a circular economy” says Sarah Blomkamp from Stone & Wood Brewery. In addition to eliminating single use cups at events, the brewery employees’ local not-for-profit Shift Project to wash their cups after each event at their Byron Bay based brewery so they can continue to use the cups at events and encourage a circular economy. 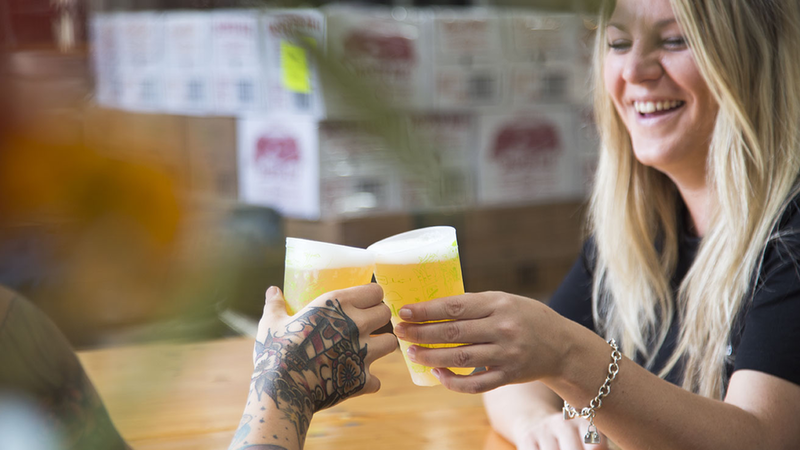 “We hope that we can influence more breweries / festivals around Australia to eliminate single use packaging and implement using re-usable cups”, says Sarah.